Green Rooibos Tea is the unfermented Cape Rooibos Red Bush Tea. It is harvested in small batches and moved straight from the mountain slopes to the drying facilities, to stop the rapid, natural fermentation. Flavonoids and anti-oxidants are higher than fermented Cape Rooibos. We really like this tea We have been drinking it for many years and never tire of it. It requires nothing added. Enjoy! Tried this recently and am very happy with the flavor and smoothness. Requires very little tea per cup. I've been drinking this tea for many years. I brew it with grated fresh ginger and sweeten with a bit of stevia. Delightful. I keep it in a thermos and sip all day. Very satisfying. I've been buying the Organic Green Rooibos Tea from EnjoyingTea for many years. I'm one of their regular customers. They are a local company here in San Francisco. Very pleased with them. Would highly recommend. I drink the cape rooibos and honey bush every day. This green rooibos does not compare in my opinion. It is a good drink but it seems to be more akin to traditional green tea other than it brews up sort of an amber color. It is rather thin and I prefer mine to steep much longer than recommended so it is stronger and bolder. Still it is a good drink but I likely wont buy this kind anymore after I use up this pound of it although I'm yet to mix it with other teas and tisanes yet so I may find a use yet. I was drinking the red rooibos but found it stained my teeth terribly. So I went with the green rooibos and love it. The flavor is not as sweet as the red rooibos and it is not as full flavored. It is kind of the "green tea" of the rooibos family. I find it very satisfying. and help lower blood pressure. Great tea to drink before sleeping. Great flavor. Very good for an evening drink. very pleasant taste. great price! first time had rooibos tea. delicious! I order this Organic Rooibos tea on a regular basis. I love the flavor, it is so much better than tea bag tea. I purchased this tea specifically for making an all day, every day iced tea. I have found the Organic Green Rooibos to be excellent for this in every way. This is my first Rooibos and it certainly won't be my last. 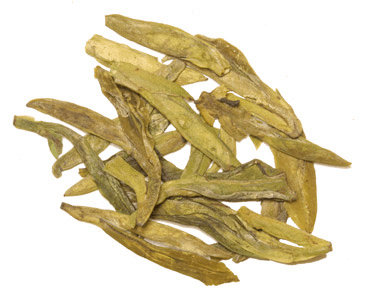 The amber hued tea has a light and refreshing taste that is not overpowering at all. It tastes good both plain and with a slight amount of sugar. The absence of caffeine makes this a beverage that can be consumed at will with no fear of pushing the "caffeine envelope". You can drink a big glass and go to bed with no worries. I followed the brewing instructions and they are spot on for making iced tea (steeping about 4 minutes). As always, the pricing is very competitive and the tea quality is first rate. Thanks EnjoyingTea for another great tea drinking experience. the tea is very light. i am used to drink strong tea, so this tea is a bit light. i have to use more than what i normally do with other types. first rate green rooibos... excellent for balancing the body. 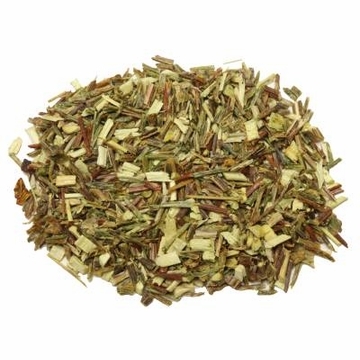 The green rooibos is wonderful, full of a rich subtle flavor. I am very happy to have found an excellent source of this tea. Loose leaf. 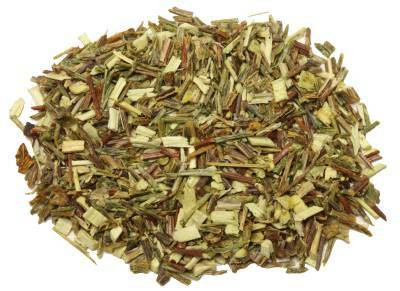 Appearance: small, needle-like green and brown rooibos leaves. Liquor: light brown infusion. The only downside is that there is more than a little sedimentation using my standard tea strainer (the leaves are small). Using a cloth sachet makes a big difference. Smell: clean and sweet. Taste: complex, warm, clean, and a little spicy. I cant describe the taste with any degree of justice because it really is just amazing. The lack of tannins means that you can leave the leaves in for a long time and the liquor remains smooth and delicious (I left some in before leaving to go workout and even after that it was delicious). And the lack of caffeine in rooibos means that this is perfect for after your caffeine cutoff time (mine is about 5:00 pm). This tisane has a nice second infusion. This also works really well cold. I will fill a cloth sachet with the rooibos, fill a pitcher with water, and then leave it in the fridge over night. This very seriously is my new favorite thing. I dont like the sediment, but the taste is so amazing that Im still giving this 8/10. Enjoy drinking this tea every afternoon. Unnfermented red tea has more anti-oxidants than just about any tea, herbal or otherwise, out there. I switched from white tea as my afternoon tea for that alone. A squeeze of lemon compliments the flavor nicely. Include this beverage in an anti-inflammatory diet. Quality tea at the best price I've found on the web! Have enjoyed this tea for quite some time now and order it regularly and will continue to enjoy its benefits. 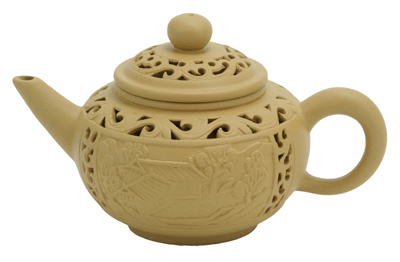 It can be enjoyed hot or cold and has a soothing quality. A friend claims that it helps with his breathing issues do to asthma. Blends well with Assam to create a classic tasting southern iced tea. This tea is excellent... The longer you steep it, the better it tastes. Though it's 'green' rooibos, it still brews a reddish color which i found interesting haha. $9 for 8oz.. can't find a better deal. Definitely will be buying again.